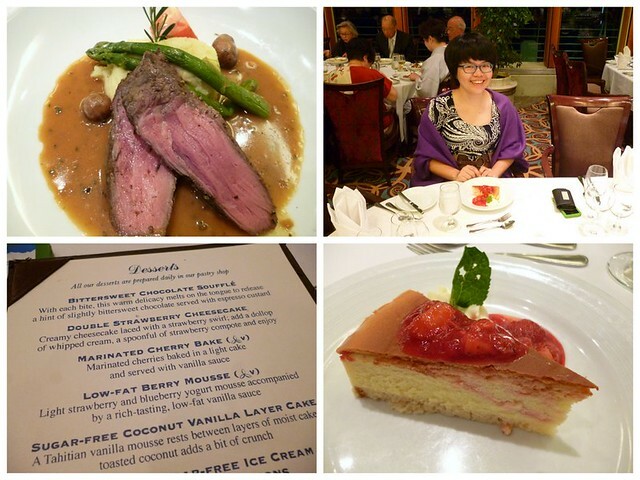 After the teaser post last week, I’m ready to show you some of the things I ate on my 15-night cruise. 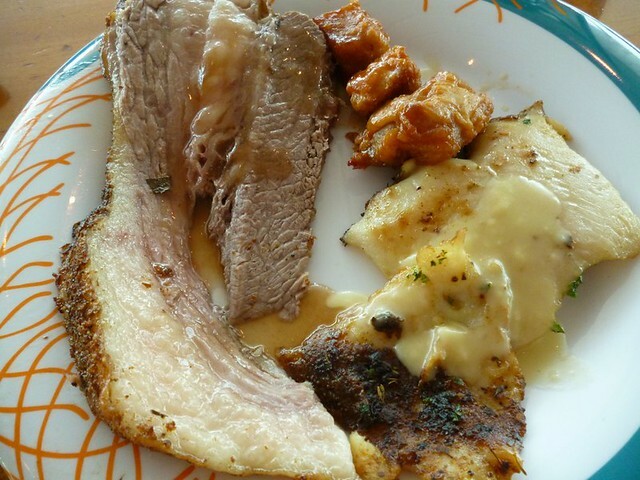 It’s very dangerous to put a Glutton on a cruise, especially a 15-night cruise. I think all the imagined fat that I’ve burnt off getting lost cycling in Sri Lanka were replaced by the food I had been eating everyday on the cruise. First off, I want to share that I’m quite disappointed that food on board is not free-flowing for 24 hours.You still have room service throughout the night (free food but please tip the delivery person) but that doesn’t really count, does it? Of course, no midnight buffet is actually a good thing as it avoids food wastage and overeating. 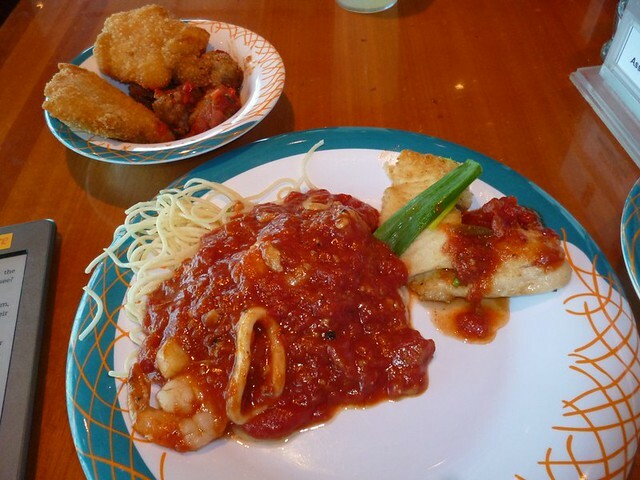 On board the Legend of the Seas, there are three main eating places I go to: Windjammer Cafe, Romeo and Juliet Restaurant and Park Cafe. Windjammer Cafe has buffets for three meals while Romeo and Juliet has sit-down meals for the same three meals. Park Cafe serves snacks and opens when Windjammer is closed but only until around 1:00am. I prefer Windjammer over the dining room of Romeo and Juliet because you get to pick and choose only what you want to try. 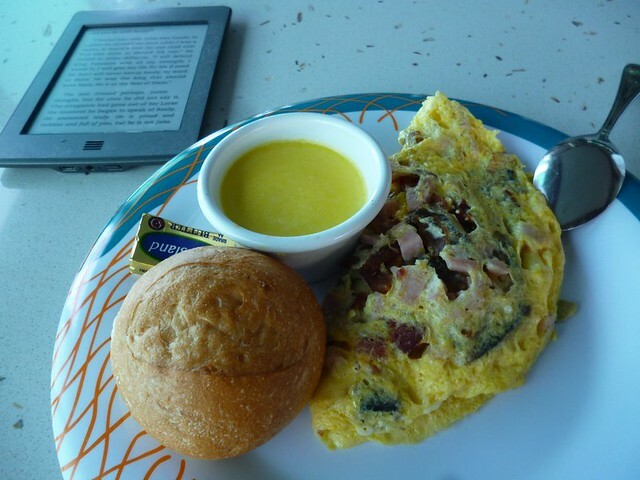 At breakfast, you can order omelettes with fillings of your choice. My favorite types are ham, bacon, mushroom and cheese. For lunch and dinner, I usually eat like a carnivore with loads of meat on my plate. Generally speaking, the ship doesn’t do Asian food well. All the Chinese-inspired soups were filled with MSG. For the dining room, there’s fixed seating at dinner and free seating at lunch and breakfast. For free seating, you’re usually guided to a shared table and everyone makes small talk. I met a lot of new people at the free seating which is really good since I don’t go out and mingle about too much. The dining room offered a menu with food that appeared more than once each week. 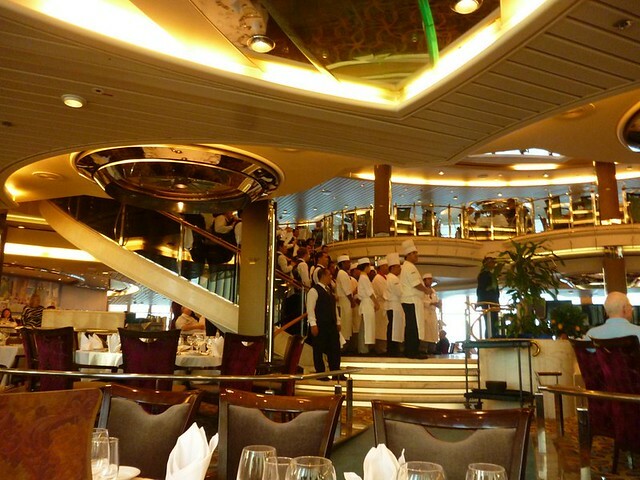 The main dishes were alright but the desserts were usually rather good for cruise food. During dinner, everyone has fixed waiters for the table. My two waiters were Jenny and Valent who keep the conversation going when I sit alone. There were two Indian couples who now live in the US at my dinner table too. On the last night, the staff stage a singing show to bid us farewell. It made me a little sad to leave the ship. 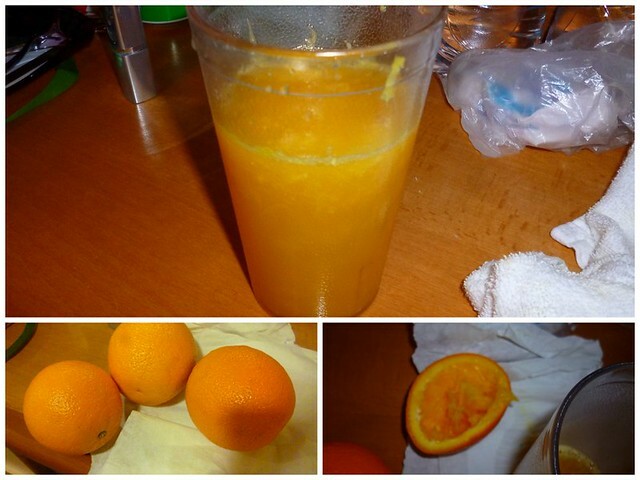 I found out about self-squeezed orange juice from a blogger who was on a transalantic cruise. She made her own orange juice because freshly squeezed orange juice was too expensive on the ship. On Legend of the Seas, freshly squeezed orange juice is US$4. There is also juice made from concentrate–which I love–but it’s different from drinking orange juice just freshly squeezed. I make mine by cutting the orange with cutlery snagged from the buffet table. The inside can be crushed easily using a spoon. It’s a rather messy business by the end is worth all the effort. Have you been on a cruise? How was the food?